Today we cruised down to the end of the Slough Arm. You could probably say we went because it was there as there wasn’t much at the end. 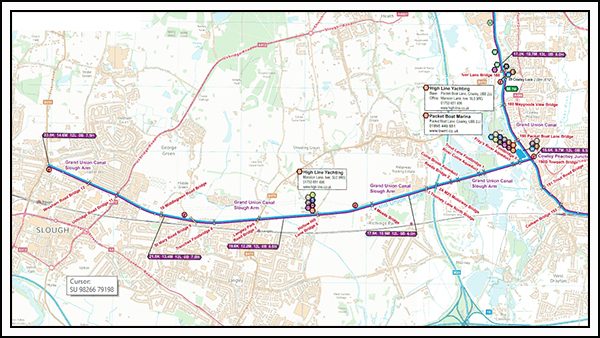 It runs due west from Cowley Peachey Junction and consists of three long straight sections. The stretch of canal between the M25 motorway bridge and High Line Yachting Marina is rather shallow which resulted in us being limited to doing slightly more than tick-over. The second half of the canal is deeper and easier going. The first half of the arm is mostly rural with a small scattering of light industry. The moorings at High Line Yachting are linear and stretch for almost a kilometre along the offside. There doesn’t appear to be any vehicle access to the moorings which must make for some physical exertion on the part of boat owners. A number of the boats appeared to be residential. We only saw one other moving craft the entire day. It was a tandem canoe which passed us on our return. 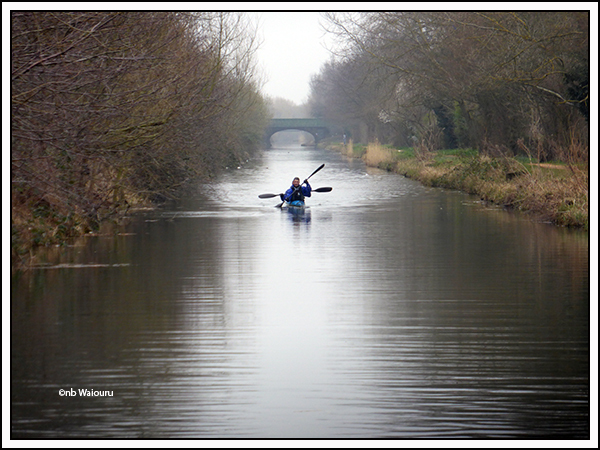 Perhaps they are training for the annual Devizes to Westminster Race? Beyond High Line Yachting moorings the canal enters an area of light industry before becoming mostly residential. Not that this adds any character to the canal. 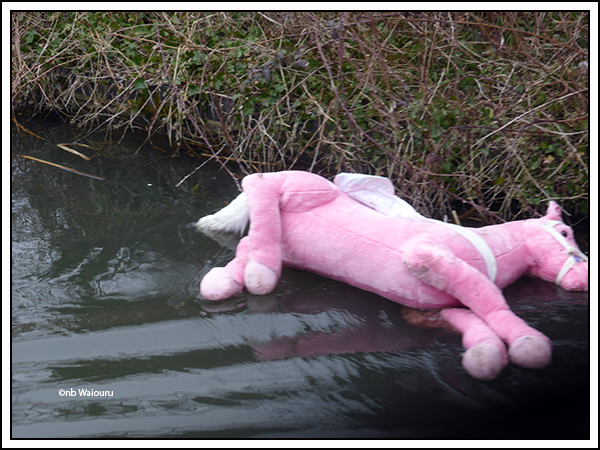 There was a horse in the water near Middlegreen Road Bridge. It didn’t look capable of getting out of the canal and none of the locals were offering any assistance. Actually we suspect at least one of them might be responsible for the animal’s predicament! 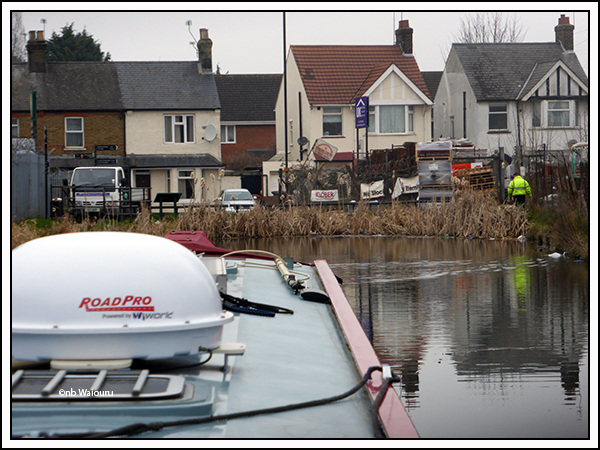 Unlike most of the other arms we have been down, Slough seems to have ignored the canal. The only redeeming feature at the end was the winding hole. There would have been some serious reversing if there hadn’t been one! The canal was one of the last to be constructed with work commencing at the end of the 19th century. It’s commercial purpose was to link the various brickworks near Slough with London. However the raw materials were exhausted by the 1930’s and the canal was almost abandoned. Only the efforts of the local canal group saved it from being filled in. A long term plan exists to link the canal with the Thames and we noticed a signpost showing the distance to Datchet (located on the Thames) as 2 miles. However lack of funding means this is still a concept. 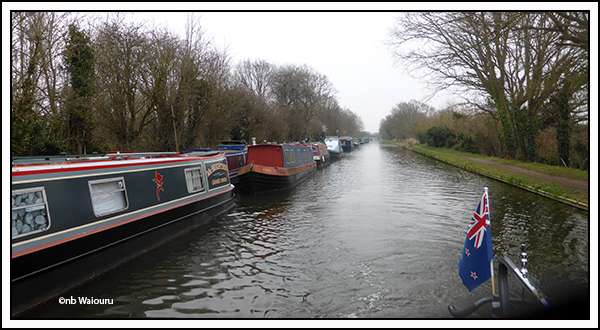 We winded and returned to Cowley Peachey Junction mooring just short of Tesco. The lack of any facilities or moorings at the end of the arm is likely to result in a continuation of minimal boating traffic. Actually one of the local boaters mentioned he had never gone down the arm and suggested we would likely be frequenting the weed hatch. That wasn’t the case but I can’t think of any reason for repeating the experience. However I could see a significant increase in boat traffic if the link to the Thames were to be constructed. My favourite quote about the end of the Slough Arm, is that when you get there, there's no there there. 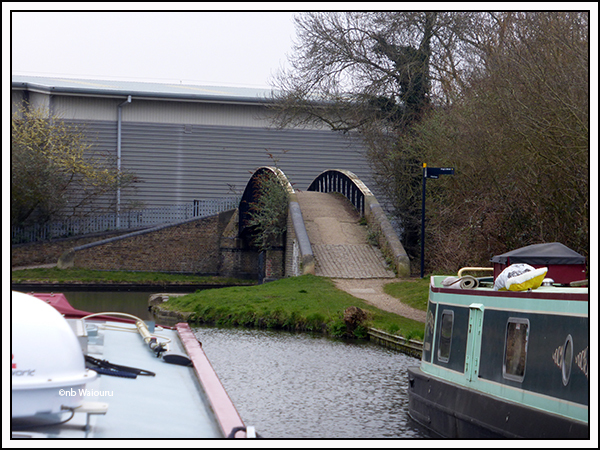 However, you haven't mentioned the most interesting features -- the nice little aqueducts near the Cowley Peachey end, taking the canal over a series of brooks; the coal tax obelisk on the towpath; and the fact that the bridge near the marina is Bridge 0!